When you start your solar journey with West Coast Solar, you get more than just a bespoke PV installation, you get a partner in the journey towards sustainable energy. As part of our ongoing quest to make Western Australia more environmentally friendly, we partner with the best, most reliable brands in the world to deliver the expertise and dependability our customers need from their photovoltaic systems. One of the brands that we work with to assist our clients, is “SMA”, a German company with more than 35 years of experience developing state-of-the-art power inverters. SMA has been creating power inverter solutions for commercial, residential, and utility-scale solar and wind energy applications for decades – much longer than many of its competitors. At West Coast Solar, we believe in giving our clients the perfect combination of industry expertise, and innovation with every project. Why Do you Need a Solar Inverter? When you’re designing your Western Australia solar strategy with West Coast Solar, you’ll be given a custom consultation, during which time we’ll assess your property, evaluate your energy consumption and storage needs, and deliver insights into how we feel solar power can help you. As Perth’s top solar power company, we know how to deliver the best services to our customers, with cutting-edge PV panels, battery storage systems, and solar inverters. A solar inverter is a component of your energy strategy, designed to convert the variable direct current (DC) of the PV solar panel into an alternating current (AC) that works seamlessly with your utilities. With a solar inverter, you can transmit the power you collect from the Western Australia sun back into your local network or commercial electric grid. For most people, a solar inverter will make up the brains of your sustainable power strategy. Often, you’ll find these rigs set up in light commercial power plants and residential solar systems. 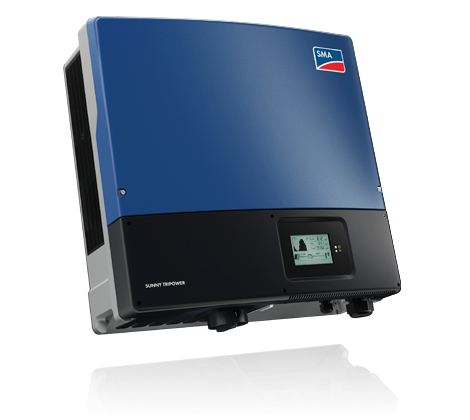 Is a SMA Inverter Right for You? We chose SMA inverters as part of our solar line-up at West Coast Solar after stringent testing and evaluating their systems ourselves. SMA was the very first solar inverter manufacturer to be listed on the Prime Standard for the Frankfurt Stock Exchange. Today, SMA Solar Technology is a global leader in the production and development of photovoltaic technology. These devices are reliable, sustainable and built to withstand even the most challenging weather in Western Australia. With the latest systems, you can even monitor your energy statistics remotely using SMA Android and iOS apps connected to your solar service. Monitoring capabilities available through the "Sunny Portal". Like West Coast Solar, SMA also have a strong commitment to exceptional customer service. That means that they’ll work with us to get your system back up and running in the unlikely circumstances that something goes wrong with your inverter. At West Coast Solar, we know our customers rely on their solar strategies to keep their homes and businesses running smoothly. That’s why we only work with suppliers and partners who can deliver the exceptional quality our clients are looking for. SMA have more than 50 gigawatts of solar products installed around the world, as of 2016, and they’re ranked as one of the most reliable inverter companies in the world, based on shipments and performance. Because SMA has a global support presence in Australia too, you can rest assured that you’ll get the perfect combination of aftercare from the West Coast Solar team, and the SMA warranty group. 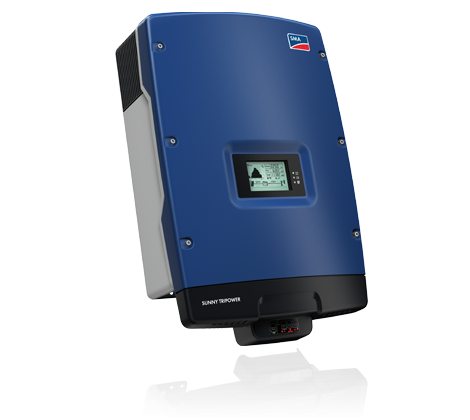 Ready for your new SMA inverter? Contact West Coast Solar today.